Harris Georgiades was born in 1972 in Nicosia. 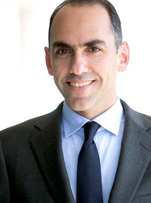 He is the Minister of Finance of the Republic of Cyprus since the 3rd April 2013. Previously he served briefly as Minister of Labour and Social Insurance (1st March-3rd April 2013). In parallel, he managed a family-owned hotel business (1999-2013). He studied International Relations and Economics (BA, MA, 1992-96) at the University of Reading, UK and was a post-graduate researcher at the Institute of European and International Studies, University of Reading (1996-98). He is married to Eva Yiangou Georgiades, who works as a schools-councilor, and they have a young daughter, Leda.